WELCOME TO HOUSE OF LAWOF: 2018 HOUSE OF LAWOF ESSAY COMPETITION!!! 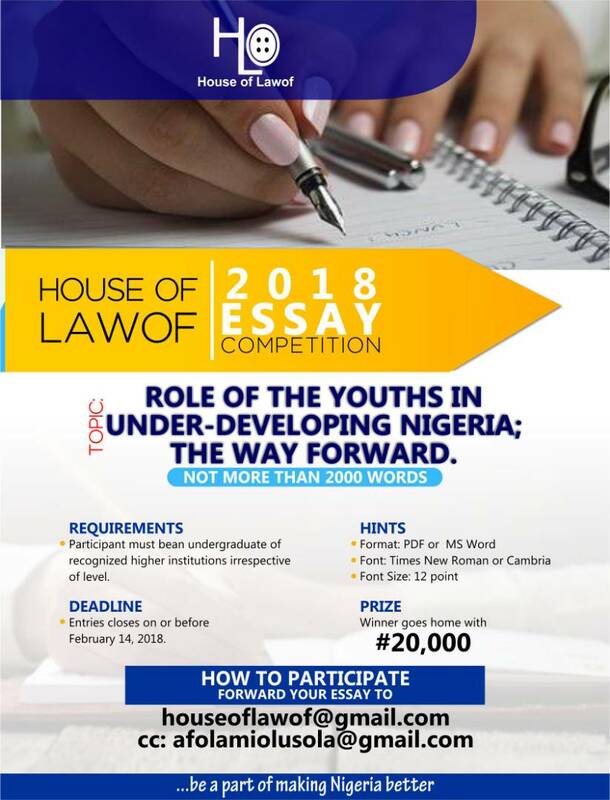 2018 HOUSE OF LAWOF ESSAY COMPETION!!! House of Lawof is kicking off the maiden edition of it's essay competition that will create the awareness among Nigerian youths on the need for a better Nation. TOPIC: Role of the Youths in under-developing Nigeria; the way forward. Entries closes on or before February 14, 2018.